JBF has been sending out packages to collectors across the continent for years and I've been lucky enough to receive my fair share of them. But what I received last week is in a league of its own. Yup. That's an on-card autograph of the most generous blogger I've encountered online. I'm not sure what's cooler... the custom card using the 1987 Topps baseball card design, the hologram COA on the back, or the fact that Wes is sporting one of the coolest costumes ever. Hamburglar rules! Just curious... what's the significance of 2/98? Is February of 1998 a special month? 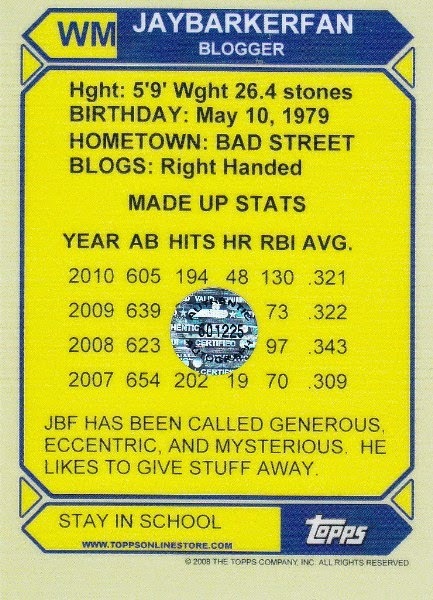 Is this card #2 out of 98 in existence? Enquiring minds want to know. Thanks Wes! I've already put your autograph in a holder and placed it on my desk next to the four other special cards given to me by bloggers and YouTubers over the years. Wes wasn't the only person to send me a package this week. I also received one from AJ over at The Lost Collector. 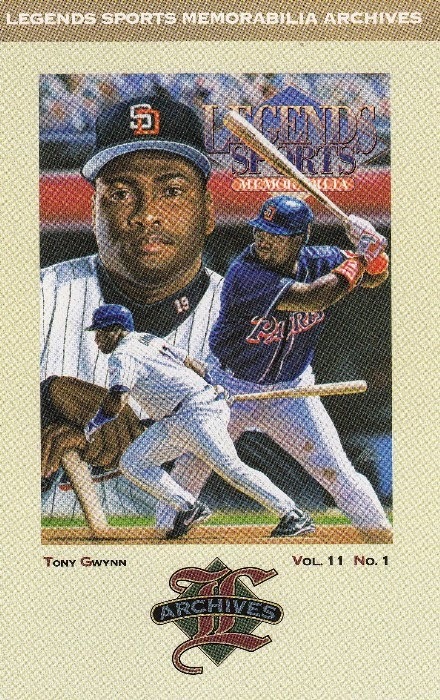 He shipped me a cool Tony Gwynn post card he won off of Listia. 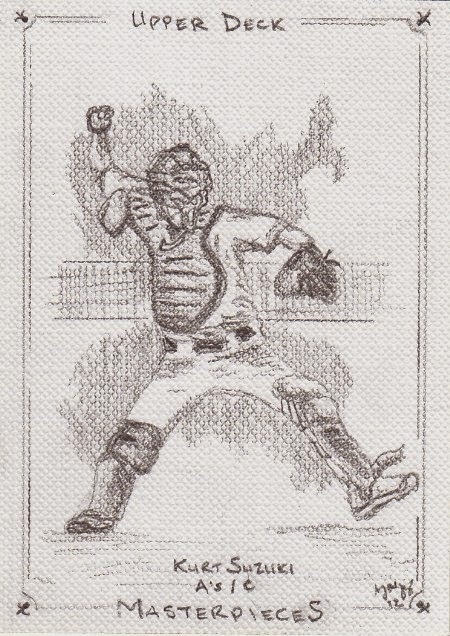 From what I can gather, it was included in one of the issues of Legends Sports back in the late 90's. Thanks AJ! 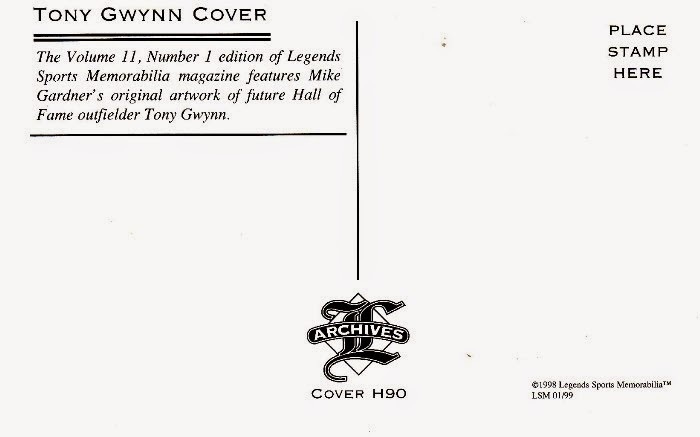 The postcard is proudly displayed in one of my Gwynn binders. I'm a huge fan of oddballs like these. 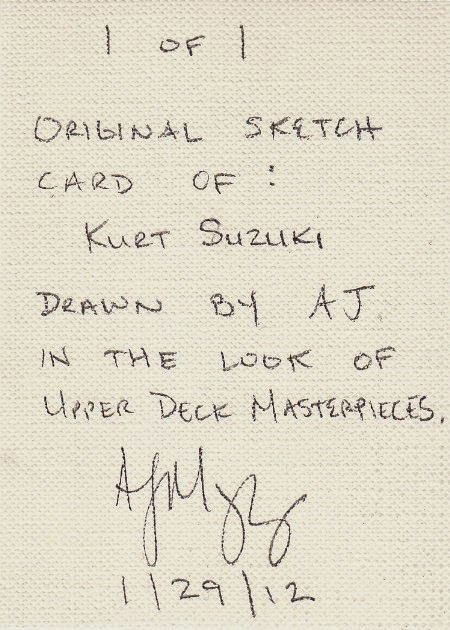 Both JBF's autograph and AJ's sketch card are priceless and will be treasured forever. Thanks guys. I specifically waited until this weekend to open up your packages in hopes of them turning my week around... and they did. Once upon a time... Wes encouraged me to pay it forward and that's exactly what I'm going to do. This afternoon these packages were shipped out. 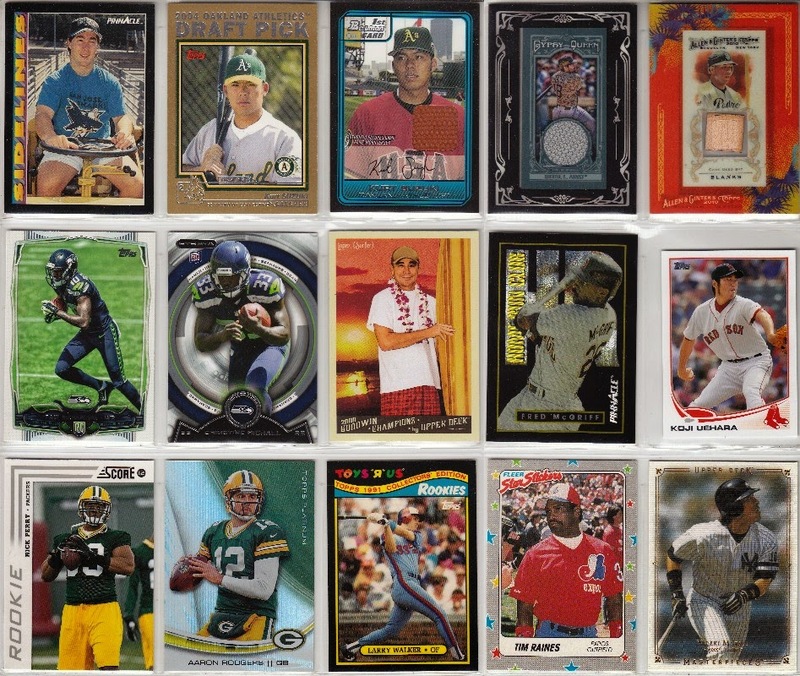 Brian... here are the Rangers you wanted from my Chrome and Finest box breaks. Nick... here's the American Bandstand set I promised you. 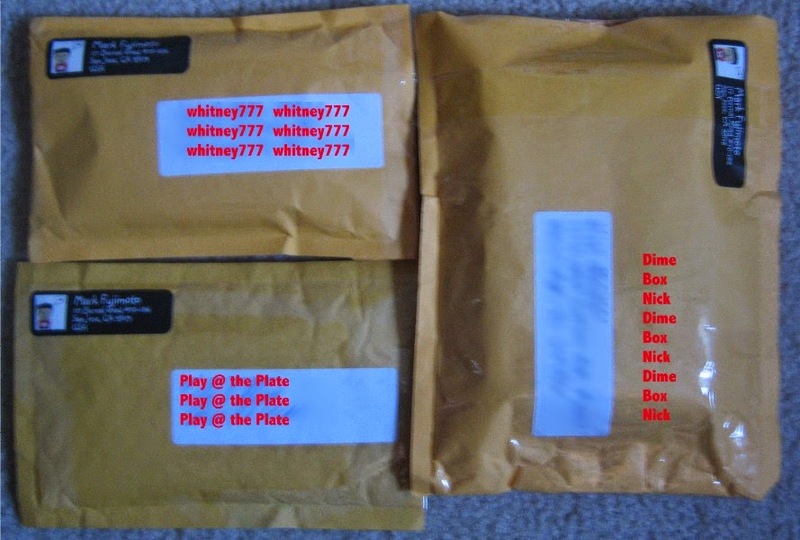 And whitney777... thanks for another great CCW trade. I hope you enjoy the extras. Its an honor to share a post with aj on your blog. One of my favorite bloggers blogging about me and one of my best blogging pals. There are 98 hambuglar variant signatures in existence. Wes, the pleasure is mine! 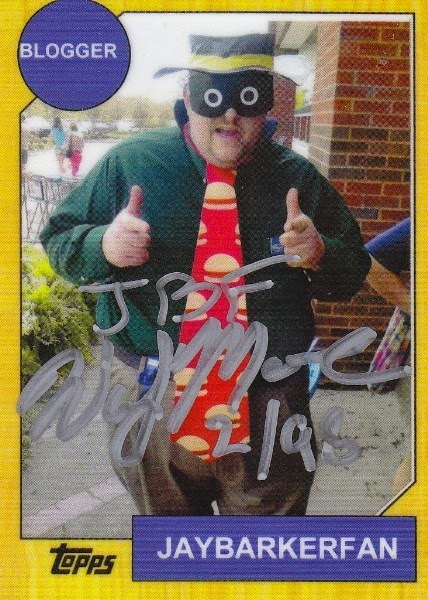 That custom auto of the Hamburglar is awesome. Glad you enjoyed the postcard, and thanks for the kind words on the Suzuki. One of my favorite sketches.